One of my favorite sales starts today! The Shopbop friends and family sale. It is one of the best sales of the year. I always take advantage and buy something that I have been wanting for a long time. It is such a great opportunity to get a new bag, boots, new sunglasses or just to stock up on some Fall essentials. Use the code FAMILY25 at checkout to get 25% off of your order. I have linked some of the things on my wish list below my outfit details. I am thinking I need a new pair of sunglasses for sure, I want to stock up on some sweaters while they are cheap and I think I want another pair of hunter boots just because they are such a good deal. Oh and my new Tory Burch boots that I got last week are on sale! And my favorite Karen Walker sunglasses. Happy shopping! Love your outfit, so comfy, but very stylish and girly! I love all the shades of green! 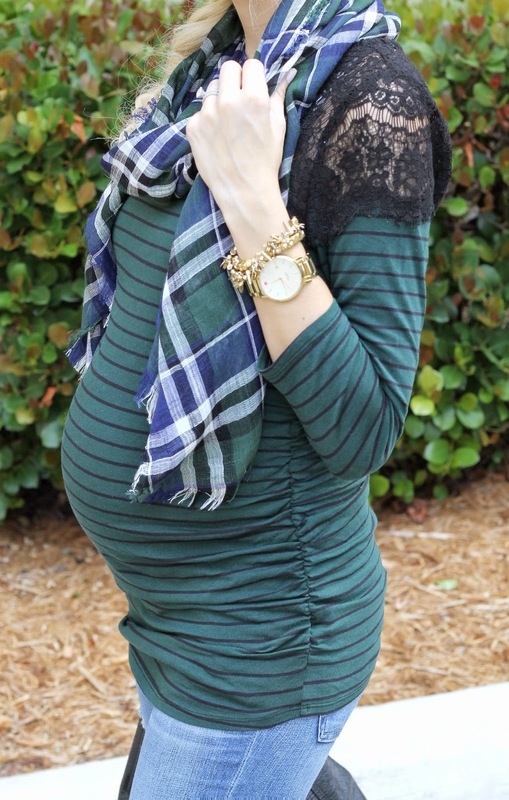 That scarf is perfect and I love how you mixed the stripe and plaid print together. Plus those hunters! I don't know why, but I've never purchased hunters, but I'm obsessed with that color and might just have to finally purchase a pair. I love the stripes and plaid together! Such a great combo! Love these colors! Perfect rainy day look. love the lace on that top! So cute! I love your green Hunters! Such a chic rainy day look. Love the hunters with this look...perfect fall outfit! 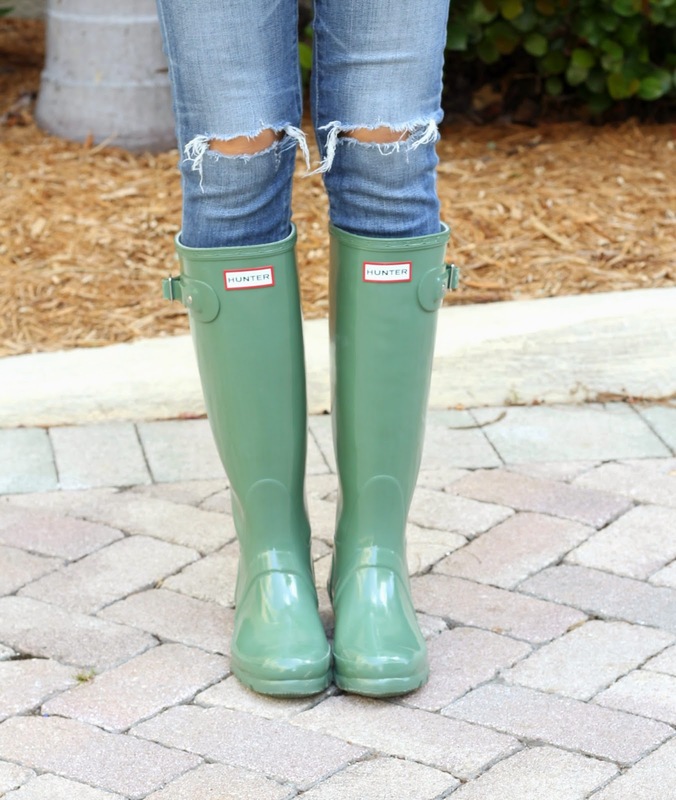 Those green hunter boots are gorgeous! cool casual outfit..i like your boots..
Beautiful look.Love the rain boots. 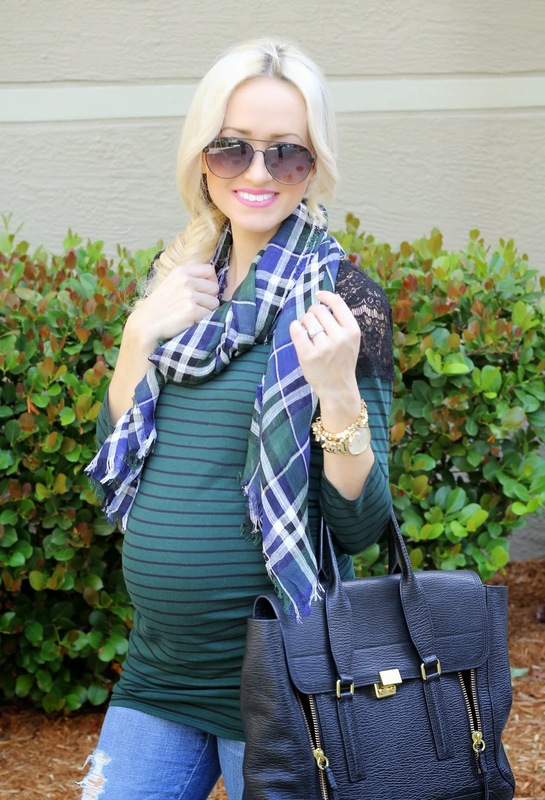 I love your maternity style! Really cute & casual outfit. My favorite part is the scarf. Love it. Gorgeous look! I'm so happy I found your blog!